One of the most intriguing promotional sires of 2013! He is a full sib to Walkie Talkie and descends from the outstanding Goose donor. Unlike his brother, this Walks Alone son tested TH & PHA free. 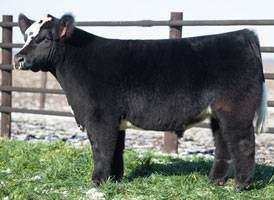 Don't miss out on adding the bone, foot size, hair, and soundness to your calf crop!